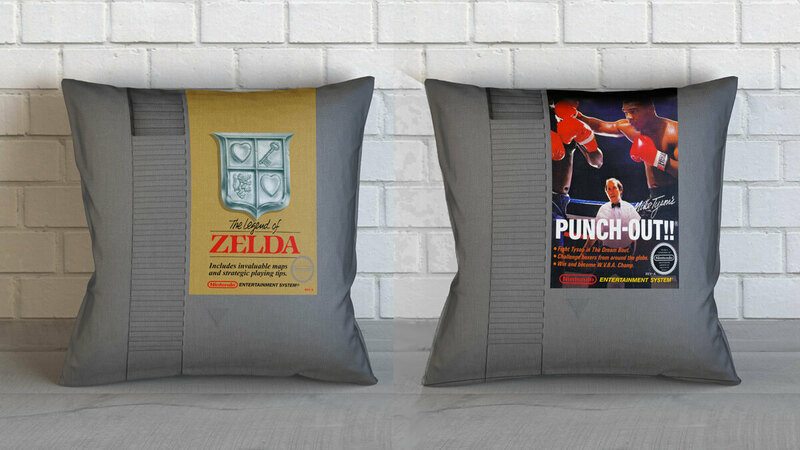 You can choose from favorites such as Super Mario Bros., Tetris, The Legend of Zelda, and Mike Tyson's Puch-Out! 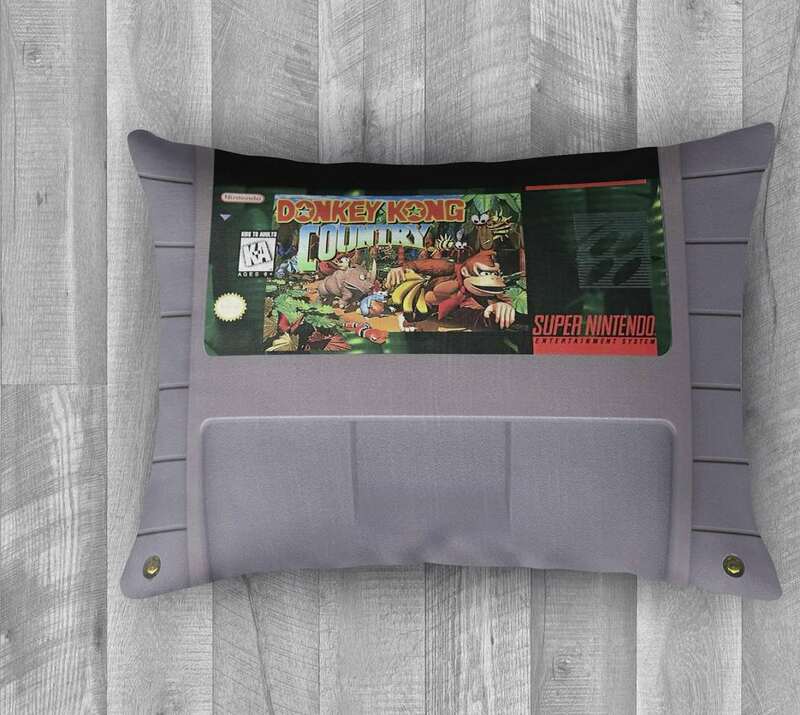 !, plus specify pillow size and indoor or outdoor fabric. 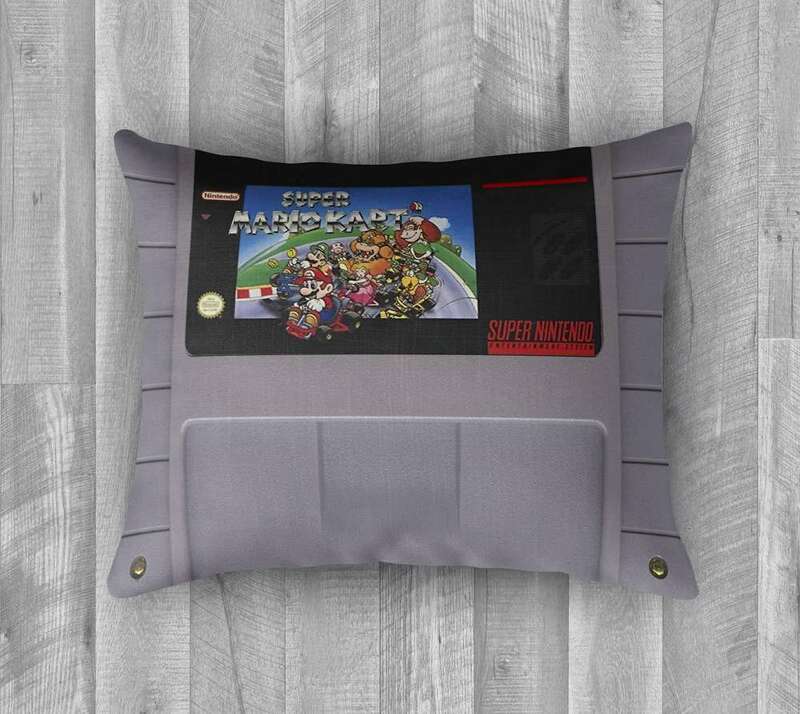 For indoor pillows, Pimp My Pillow uses 100% polyester woven microfiber, and for outdoor a water- and stain-resistant version of the same. 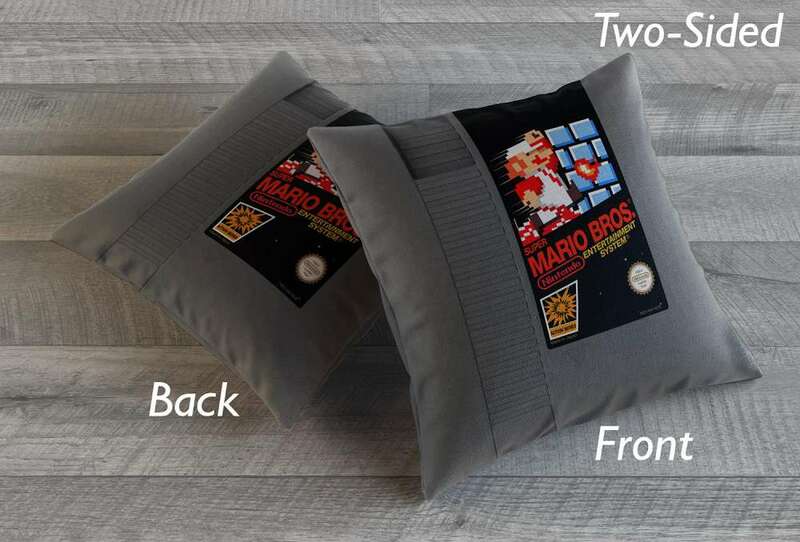 Pillows come in 4 square sizes for NES Classic, ranging from 14" x 14" to 20" x 20", and 2 rectangular sizes for Super NES versions, 18" x 24" and 16" x 20".